Pakistan was created as art of two Nation theory in 1947 as a Muslim state. Pakistan was expecting Jammu and Kashmir with 65% of Muslim population to join Pakistan. As this Expectations did not metalized pakistan was Furious and sent northern tribals along with Pakistan irregular for invasion of Kashmir. Initially maharaja Hari Singh the ruler of Jammu and Kashmir neither joined India Nor Pakistan. But once the Pakistan threat was there he decided to accede to India. He signed the document " of obsession" 22nd October 1947 and merged with India. The first contignent of Indian army landed in Srinagar on 27 October 1947. The army was rushed towards Baramulla and other areas where Pakistan was trying to advance. As the size of Army was small due to the partition of the army also it was not making any decisions outcome. The PM Pandit Jawaharlal Nehru took the Kashmir issue to UN Security Council. Ceasefire between India and Pakistan forces. Pakistan forces from occupied territory. India to reduce forces in Jammu and Kashmir. India to conduct plebiscite in Jammu and Kashmir. * the UN Troops positioned to monitor ceasefire between two forces. The Pakistan strokes did not withdraw from the occupied territory. 10% of Rann given to Pakistan. Sir-Creek was not referred for arbitration was the countries thought that This area belongs to them. Pakistan was divided into parts east Pakistan and West Pakistan. The majority of Bengalis of East Pakistan were not happy under Punjabi. Muslim of the west Pakistan the turning point was the denial of prime minister ship of Sheikh Mujibur Rahman of joint Pakistan as his party had won the majority of parliament. As the Bengali refugees poured in, india liberated Bangladesh on 16 December 1971. Pakistani surrendered to Indian Army. This was signed between message Indira Gandhi and Zulfiqar Ali Bhutto. all outstanding disputes between India and Pakistan to be solved bilaterally that is no third party intervention. all 95000 prisoners of War to be returned to Pakistan. line of control was marked after exchanging the maps of both the countries showing the location of both the forces. As the line of control was not marked and merely agreed that it extended North words from grid reference NJ 9842, indian forces occupied saltoro Ridge on Siachen as it was dominating features. The Pakistan objected to the occupation saying it violated Shimla agreement. it is the highest Battleground on the earth. we are dominating Pakistan as we have occupied advantages position. We spend 4 crore rupees today where as Pakistan spends half of it to maintain troops. both sides are losing more man to the adverse weather conditions ( -30° Celsius to -50° Celsius) then the bullets of each other. The Kashmir Valley is under the shadow of militancy since 1989. Initially the militant groups were divided some wanted Jammu and Kashmir to join Pakistan while other Wanted it to become an independent state. With the passage of time there was a large scale in filtration of foreign mercenaries from across the border. jammu and Kashmir liberation front, pro independence. Harkat ul mujahideen , pan islamic. Jaish e Mohammed fanatic pan islamic group notorious for human bomb. The troops on both sides used to work at their defensive position during winter and used to come down from the Heights. At the onset of Summer the troops of both the countries would move up and occupy their summer locations. This used to happen every year till 1998. This winter Pakistani used to show their rearword move during the day but used to bring back more man and material during night. They intruded in our area from November to April 1999. When our troops started moving up during first week of May 1999 they were fired upon from a new number of places. The Pakistan is wall mount of there are me but subsequently have to agree once the Indian government confronted them with the identity cards of the Dead soldiers. 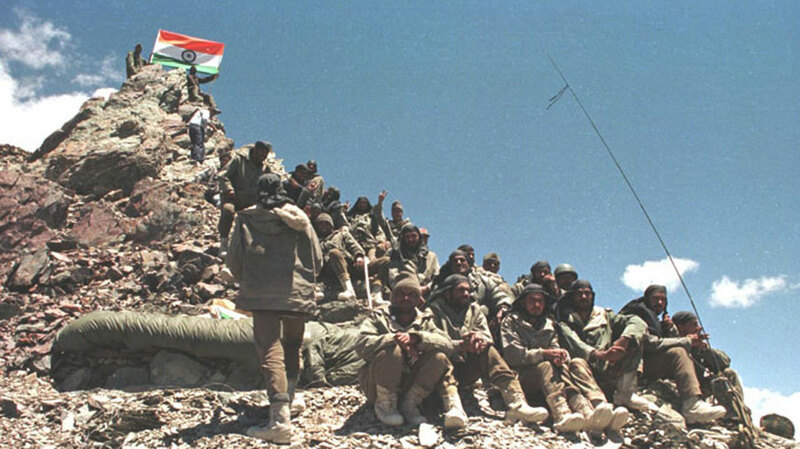 Indian Army was able to throw the Pakistan is out from Kargil but at a very heavy cost of lives. Indian Airforce also participated in the operation. The park trained terrorist struck on the Parliament of India on 13 December 2001. This event was the culmination of our patients. The NDA government at the centre sounded the bugle " fight to finish". The whole armed forces immobilized and moved to the war location. The mines were laid on the border. The civilians were shifted from the border areas. It was going to be another hour but it did not happen. Both the Armies moved back to their places location after both were convinced by the USA that as both have nuclear weapons and if it is used by one to restore a balance, will be used by the other country to counter it and both the countries will suffer heavy toll of human lives. restoration of delhi lahore bus. restoration of samjhota express via Atari. recall of staff at the embassies. restoration of over flights over the countries which were suspended. Didn't Pervez Musharraf offered a ceasefire on line of actual control on Eid in November 2003. This was accepted by India. It is a great relief to troops of both countries and also for the civilians as many of them have their fields right up to the border. the bus journey from Srinagar to muzaffarabad started on 7th April 2005 the aim was to unite the people of both the sides. The total distance from Srinagar to Muzaffarabad is 170 km. The distance from Srinagar to line of actual control is 120 km and line of actual control to Muzaffarabad is 50 km. Bus is escorted by Indian security forces upto LOC and Bypass security forces up to Muzaffarabad. The people travel on permit. The bus diplomacy has benefited India as people from P ok can come and see the ground realities. The Pakistan's propaganda will not work now. Munabao is the last station on indian side in Jaisalmer sector. The rain was stopped in 1965 during the war. It was proposed to start from 1st June 2006. The line is connected to Jodhpur from munabao and to Karachi from khokhrapar. the highest Battleground should be turned into the mountain of peace' so said the PM Manmohan Singh when he visited Siachen in January 2005. India wants Pakistan to authenticate the Indian position along the saltaro ridge which pakistan is not ready as it alleges that india has occupied their area in spite of the urgency shown by our prime Minister and the president Musharraf on Siachen there is no break through Siachen. it is a hydel project on river Chenab in Doda district near ramban where 450 megawatt of electricity has been planned for production. The pakistan has objective to design of baglihar its height and the gate system which as per Pakistan violates Indus water treaty. The height of them will amount to storage of water and get system can flood Pakistan at the will of India. Indians have not agreed to the parks objection and Pakistan has walked out of the top and approached World bank for redressal. The world bank has appointed as engineer to study the matter and resolve the dispute. The work on the project has not been stopped the project is now completed by lowering the height by 1.5 m as suggested by the World Bank. We do not agree Even with its name and we call it Tul bul project. David some of water of Jhelum river into Wular Lake december January to increase the level of Wular Lake so that subsequently during the lean period. When the water level decreases during February to May, the water level is increased to 4 ft by releasing water from Wular Lake. The aim is to help the villages around Kupwara to use the river as a navigational ais to ferry their vegetables and fruit up to Baramulla. It was objected to by the pakistan as divergent of water amounts to violation of Indus water treaty. India has to abandon the project in 1987. The talks are on to start the project. It is an estuary in Rann of Kutch due to the Marshy area it is not properly marked. There are boundary pillars in the middle of Sir creek which defined the boundary between Gujarat and Sindh. The Pakistan says the boundary runs on the eastern edge of the creek. The joint survey is on to sort out the problem. both sides have agreed to inform Each Other of any missile test in advance. Also tighten control on nuclear establishment so that these do not fall in the hands of the terrorist. Fresh round of talks were held on 5- 6 August 2005 at New Delhi where it has been agreed for pre notification of ballistic missile test by any country. The LOC cannot be entered that is we are ready to make it International border. The Pakistan is not ready to accept LOC as the International border. Increase in people to people contact. This is happening by the bus diplomacy, rail opening, cricket matches, sports exchange, official and unofficial delegations and cultural exchange. The aim is that let people meet each other see for themselves the ground realities and make their own impression. The Jammu and Kashmir economy should be strengthened. The integration of Kashmir is with the Indian culture. Many of the children are being taken on a national tour for integration. 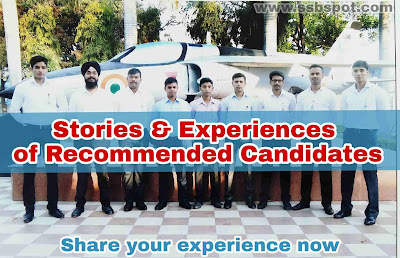 Employment opportunities for the youth in armed forces and Paramilitary forces. strengthen Political institution like panchayatiraj. 3 pronged strategy by blocking infiltration routes reviewing the troops deployment along LOC and installing and electronic Warfare system to make communicating system for the terrorist ineffective. How must India respond to Pakistan's frequent ceasefire violation? Ever since july August 2014 pakistan has continued to Breach the ceasefire along the line of actual control in poonch - Rajouri sector and along the International border in Jammu region. The latest high magnitudes ceasefire violation occurred from 4th to 6th October 2014, resorted to unprovoked firing along 25 border outpost killing 5 villages and injuring 34 others. Besides causing damage to houses and killing livestock in village arnia. This is perhaps the maximum number of casualties suffered on a single day in the recent times. Pakistan Rangers used automatic weapons and motor bombs to target the small hamlets in Jammu rS Pura tehsil. This happens To be the eleventh ceasefire violation in the past 4 days. Civilian population has been pulled back from the LOC to the government prepared make shift Shelters. On 2nd July 1972 Shimla agreement was signed between Pakistan's president is Zulfikar Ali Bhutto and Indian Prime Minister Indira Gandhi which paved the way for peaceful negotiation between the two countries. The agreement identified Jammu and Kashmir as a bilateral issues and cold for both countries to settle their differences by peaceful means through bilateral negotiation. The agreement also converted the seas fire line of December 17 1971 into the line of control between India and Pakistan and it was agreed that neither side shall seek to Alter unilaterally irrespective of mutual differences and legal interpretations. India decided to construct the border fence to prevent cross border terrorism and illegal smuggling of arms and ammunitions and narcotic substances. The construction of the barrier was begin in the 1990 but slow down in the early 2000 as hostilities between the India and Pakistan increased. In november 2003, a ceasefire agreement was signed between India and Pakistan and by September 2004 the fencing of Jammu and Kashmir was completed. The infiltration of militants has reportedly been reduced by 80% after the border fence has been erected. provides covering fire two militants while infiltering into Jammu and Kashmir. 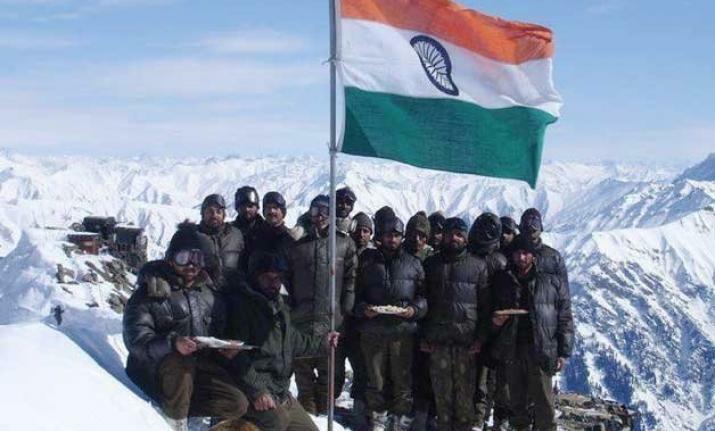 Infiltration and substance of Pak militants after it snows heavily in the higher reaches become difficult so maximum ceasefire violations akka free winters in their desperate attempt to infiltrate maximum militants. Pakistan wants to demonstrate solidarity with the separatists of Jammu and Kashmir by resorting to heavy firing along the LOC during the visit of dignitaries, like recent visits of prime minister, home minister and Defence Minister to Jammu and Kashmir saw an upsurge in ceasefire violations. 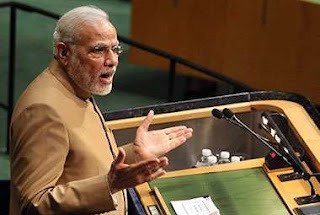 Pakistan wants to highlight the issue of Jammu and Kashmir at world forums as was done by Prime Minister Nawaz Sharif during the recently concluded UN General Assembly meet at New York hence the provocation at the border is heightened to draw reaction from India which would label Jammu and Kashmir as a disputed territory. unfortunately with a week government there and a military establishment that has an axe to grind; few in Pakistan are likely to be bothered by the coast in terms of civilians or even military casualties. 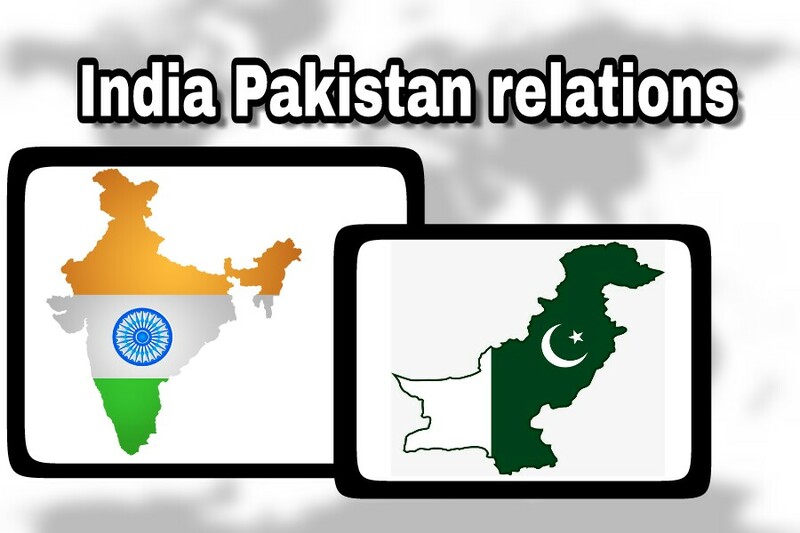 That is the Dynamics that has determined India Pakistan relations post musarraf. conventionally any political party that has ruled Pakistan during the sole democratic interludes has done so through India basing and displaying solidarity with the separatist of Jammu and Kashmir and throw ceasefire violations the political masters of Pakistan so called solidarity to the cause. it has been observed in the past also that Pakistani Resorts to such India centric activities to divert the attention of their local population from internal socio political crisis. the stated policy of Pakistani establishment is to bleed India from hundred wounds bye fighting the low cost and Highly Effective low intensity conflict with India, besides pakistan military wants to send a message to India that it does not need orders from democratic government of Pakistan to go on the offensive. Pakistan army and yes I want to keep the issue alive to maintain their position of prominence in Pakistan. In case they do not display their continuous aggression their authority and credibility will get a beating in the eyes of people of Pakistan. besides the military establishment wants to undermine the authority of the democratic government by going on the offensive against India. the recent thread by Al Qaeda to establish its militant Wings in India and the support assured by Pakistani jihadist elements and Talibans to ISIS has served as a catalyst for Pakistan to activate its cross border provocations with renewed vigour. Is all out war an option for India?? It needs to be understood that both India and Pakistan are nuclear powers and if the situation deteriorates beyond a point . It might escalate to a full-scale war. A conventional war in the present world order will immediately bring the pressure of the world community to stop the war. Besides it may result into what is called MAD (mutually assured destruction) between nuclear power in which no one ends up a winner. though the strength of indian arm forces in number is roughly twice the size of that Pakistans army. However considering that our forces are deployed to card 6 other borders with our not so friendly neighbours india would get restricted to apply forces to a given point against Pakistan. Hence pakistan will be able to achieve near parity of troops at the recessive point of engagement. 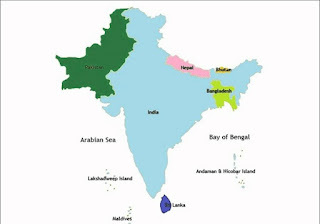 So the general notion that India will simply Run over Pakistan and completely any collect it may not be so true. During such a short duration high intensity were both sides will suffer our devil casualties without really being able to solve the core issue. When we look at the outcome of previous war of 1965 1971 and the Kargil conflict though we could inflict more possibilities capture more prisoners of War but the issue of Jammu and Kashmir still persists. In order to explain the above. Let us consider the Kargil conflict, though india is viewed to have been victorious by being able to regain its lost territory pakistan actually had the last laugh buy in flipping so many casualties on Indian brave hearts, once again before the world community that this is a highly volatile disputed territory that may act as a nuclear Flashpoint and latter. Simply affected those hostile hill features which always belong to us. Besides a conventional full scale war will also economic clean break our country backwards by a couple of decades. India's culminating economy during the recent times does not permit it to go to war with Pakistan. military relations should be measured but decisive and damaging. The identified Staging areas of jihadist along P ok to be totally degraded using Precision guided weapon to avoid Collateral Damage. dietary pounding must be extremely strong and should generate fear psychosis in Minds of Pakistani field commanders. The same way required heli lift and deployment of heavy weaponry to the forward areas by Indian Army. mobilize world opinion to call Pakistan's bluff apply coercive diplomacy and at the same time in Dallas in meaningful bilateral talks and include all stakeholders in such discussions. endeavours to win the hearts and Minds of the local population by supporting and promoting their interest by way of ensuring their safety security and above all dignity. encourage and create investment climate in Jammu and Kashmir create employment opportunities, improve infrastructure, promote tourism in a major way etc. put into place a credible psychological drive to favourable shape the opinion of the people of Jammu and Kashmir through visible means of promoting communal harmony, south India genuine intent to safeguard their interest and highlighting the damage being close to the state by the separatist elements and nefarious designs of Pakistan. The situation has deteriorated in Jammu and Kashmir due to many factors after the Killing of Vani on 8 June 2016, a number of violent protest started in whole of Kashmir. Many youth died due to use of pellet Guns by the security forces to control the mob. The attack on one of the forward post at Uri, in which 18 Indian soldiers were killed, at the Indian to retaliate. Strike was carried out at many launching pads of terrorists. Curfew was imposed in Kashmir which continued for 4 months. All activities came to a grinding halt. Ceasefire letting at the LOC have increased. Both sides have lost security personnel and civilians. 30 schools have been burnt by militants, The situation is really grave. This has also affected the diplomatic staff who are being expelled by each other. Therefore there is an urgent need to solve the problem at war footing. The sanctity of LOC must be maintained. People and administration to work out the ground rules for a smooth day today living educational institution to functionfunction. Bold steps are required from both the sides to solve the tense situation. The Herculean effort put in by the armed forces for the release and rescue operations conducted during the recent Jammu and Kashmir floods must be showcased to highlight the benevolent intent of the forces deployed in Jammu and Kashmir. Also government of India must undertake effective measures to visible assist to the state in the Mammoth task speedy rehabilitation and reconstruction. Pakistan's hostile outposts and the hardest training camps staging areas along the LOC be identified through the use of high tech gadget Re like ground sensors and unmanned aerial vehicles etc and pulverized by heavy caliber munitions to the extent that Pakistan things many times before attempting anymore misadventures. In 1999, Indian airforce participated in Kargil war with Mig 21 ( flying coffin ) in operation " SafedSagar ". Thank you for sharing information with us, it will help other blog readers too.